Health and safety must be a priority in your beauty salon. It’s vital to protect your staff and clients, operate within the law and be insured against potentially expensive legal action should something go wrong. • Health and Safety at Work Act 1974. • Control of Substances Hazardous to Health Regulations (COSHH) 2002. • Cosmetic Products (Safety) Regulations 2004. You have a duty of care towards your clients and employees. It is a legal requirement for you to display the health and safety poster approved by the Health and Safety Executive. 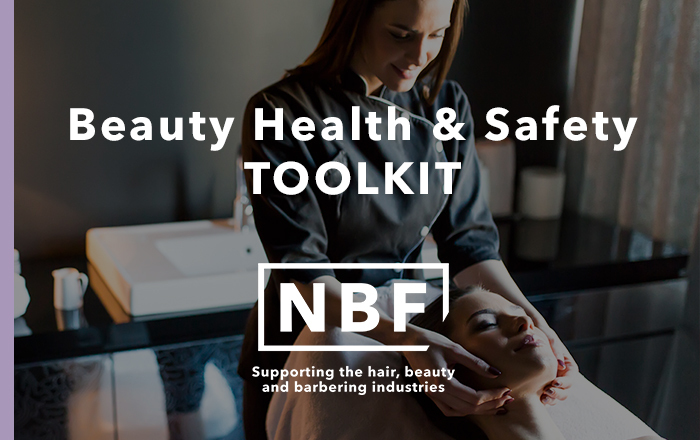 For complete peace of mind, buy our Beauty Health & Safety Toolkit created specifically for beauty salons. It contains everything you need to stay legal while protecting your clients and staff against a range of potential hazards and health risks. Contents include the health and safety poster required by law and template documents for use in your beauty salon. A Beauty Health & Safety Pack is also available. The law says every employer must carry out a risk assessment, and if you have more than five employees it should be written down. However, it’s best practice to have a written record even if you have fewer than five employees. It’s a good idea to involve your staff as they may raise issues that you haven’t thought of. You will then need to set out the steps you have taken to protect your staff and clients from the risks you have identified. You must carry out a specific risk assessment for employees under the age of 18 to consider additional factors such as their immaturity and lack of experience. (A risk assessment for young people is included in the NBF health and safety toolkit). Do you want to set up your own beauty business? This expert guide takes you through the process step by step – from deciding if you’re ready to start your own business to the excitement of throwing open your doors for the first time. The law says you must provide health and safety training for your staff. Employees must have training before they are exposed to any risk and you must record it has taken place. You’ll need to have at least one appointed person to be in charge of first aid arrangements in your beauty salon. It’s also recommended that at least one person is trained in emergency first aid at work (EFAW). Find EFAW training courses run by the NHF. For beauty salons offering advanced treatments, a full First Aid at Work course is advisable. • Contact with water, detergents or massage oil that irritate the skin. • An allergic response to chemicals; this can take a while to develop. To protect against dermatitis, your staff must wear disposable non-latex powder-free gloves (nitrile or vinyl) when doing anything that may expose them to the risk of dermatitis. They should change gloves between clients. Encourage your staff to check their hands regularly for signs of dermatitis. Your staff may also experience strains, sprains and general pain due to doing physically repetitive work that involves a lot of standing and bending. • Height-adjustable massage tables and couches to ensure a comfortable working position for all your staff. • Advice on the best positions to work in – for example, keeping feet apart when standing. The NBF provides a toolkit to help therapists decide whether an allergy alert test is needed for clients having hair colour or eyebrow/eyelash tints. You must carry out allergy alert tests at least 48 hours before applying hair colour or eyebrow/eyelash tints. If your client suffers any reaction at all, don’t go ahead with the appointment. Keep confidential records of the allergy alert tests and outcomes. The NBF Allergy Alert Consultation and Colour Record Cards are approved by Coversure Insurance Services, the NBF’s preferred insurance provider. (If you’re insured with another provider, make sure they will cover your use of the NBF Allergy Alert Consultation and Colour Record Cards). 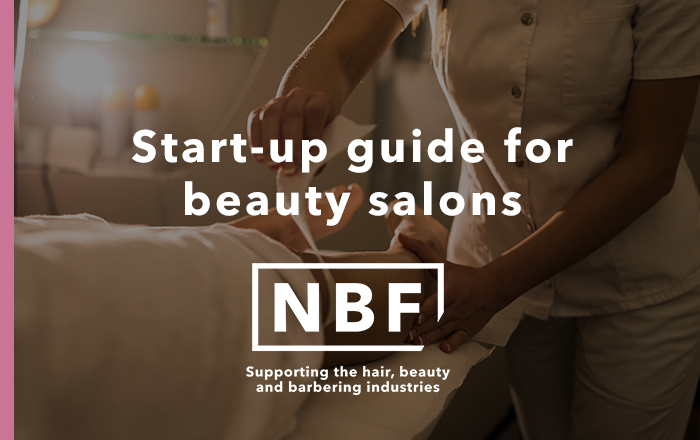 The NBF works in partnership with Coversure Insurance Services to provide value-for-money insurance specifically designed for beauty salons. As an NBF Member, you’ll benefit from a 20% discount on salon insurance. Find out more. Your staff should also be tested for allergies. Keep confidential records of the results and any action taken. When storing confidential client or staff information you will need to comply with GDPR, including getting client consent for collecting and keeping health-related information such as client consultation forms. Don’t forget: hair dye, including dye for brow and lash tints, must not be applied to anyone under 16, or used by any employees under the age of 16. The NBF also provides guidance on skin sensitivity testing. Download our detailed Members-only guide to GDPR. Download our GDPR toolkit which includes templates to help you comply with GDPR. Carrying out beauty treatments on under-16s is not recommended. Beauty therapists must protect and promote the welfare of under-16s and vulnerable adults. You must ensure treatments are safe and appropriate and that the individual wants to have the treatment or treatments. You should always follow the manufacturer’s instructions and guidelines. • Waxing (not intimate waxing). A parent or responsible adult must be present during treatments provided to under-16s. • Botox, dermal fillers or similar anti-wrinkle treatments. • UV therapy, for example, sunbeds. • IPL (intense pulsed light) treatments. NBF Members can download our detailed Qualifications and Age Restrictions fact sheet. All beauty treatments must be carried out by therapists who have the necessary qualifications, training and experience, otherwise your insurance will not cover you if things go wrong. Always follow manufacturers’ instructions and make sure you client is old enough to have the treatment or therapy and does not have any medical condition which would put them at risk. You must also ensure that your salon is licensed to carry out special treatments (this could include, for example, massages, manicures, chiropody, light treatments (sunbeds), electric treatments (electrolysis) and other treatments involving heat, light or vapour (sauna or other bath treatments). Find out more about local authority licences (enter your postcode for further details). Licences are also required for tattooing (remember: permanent make-up is effectively a tattoo), electrolysis and piercing. Find out more. Licensing for tattooing, piercing and electrolysis in England and Wales. Licensing for tattooing, piercing and electrolysis in Scotland. Some local authorities also require your therapists to be registered with them. The requirements vary across the UK, so always check with your local authority. As part of your risk assessment, make sure you know exactly which substances you have in your beauty salon and the risks associated with them. Ensure your staff know how to use and dispose of them safely. Always store hazardous substances in their original containers, away from direct sunlight and preferably in a locked cupboard. Make sure you know which substances should not be poured down the sink. • Your salon should be adequately ventilated. • Gas and electricity appliances should be regularly checked. • Measures should be taken to avoid slips, trips and falls. • Guard against legionella by checking your water on a regular basis. Specialist checks are required for spa operators. • Make sure you have smoke detectors, fire extinguishers, a clear evacuation plan and regular fire drills. A complete pack of risk assessments is available in the NBF health and safety toolkit. • Understand health and safety law and how it applies to your beauty salon. • Carry out risk assessments that cover all aspects of health and safety for your premises and the treatments you provide. • Create a health and safety policy. • Train your staff on a regular basis and appoint a first aider. • Take steps to prevent dermatitis and musculoskeletal disorders among your staff. • Set up an allergy alert testing system approved by your insurance provider. • Be aware of age restrictions for some treatments. • Make sure staff are qualified to carry out treatments and make sure your insurance covers you for all the treatments provided in your salon. • Keep your salon and equipment safe for staff and clients. • Free 24/7 advice and practical support on managing people. • Free commercial law helpline. • Free in-depth guides about all aspects of running your business. • Valuable discounts on insurance. • Health & safety toolkits. • Allergy alert and sensitivity testing guide. • Beauty qualifications and age restrictions fact sheet. • Free employment and apprenticeship contracts. • Free space and room renting agreements. • Access to our friendly and knowledgeable membership team. Find out more about the benefits of becoming an NBF Member. Make sure you're up to date and in the know ... visit our press office for all the latest hair, beauty and barbering industry news.